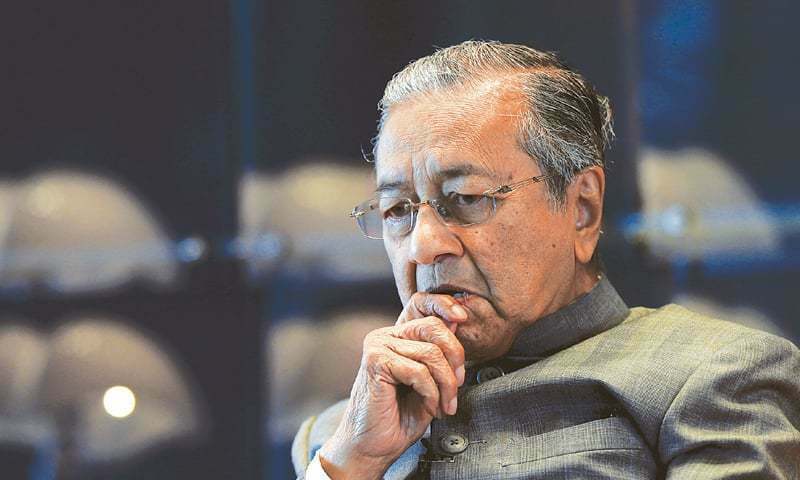 ISLAMABAD: Malaysian Prime Minister Dr Mahathir Mohamad said that he had offered tax holidays to foreign investors for two decades while sharing the “secret” of Malaysia’s economic success during a business conference held on Friday. Mahathir Mohamad, who is on a three-day visit to Pakistan, said wealth creation is the only way to improve crippling economy. 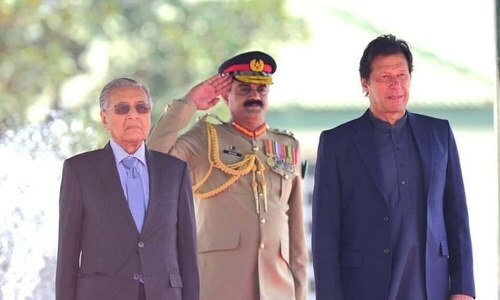 Speaking to businessmen from Malaysia and Pakistan, the Malaysian premier remarked that he had invited investors to Malaysia while training local workers in new skills. As investment money poured in, we were able to set up our own industries with the help of technology, he added. He also said that peace and stability were pivotal to economic progress of any country because without peace, no one will come to invest. 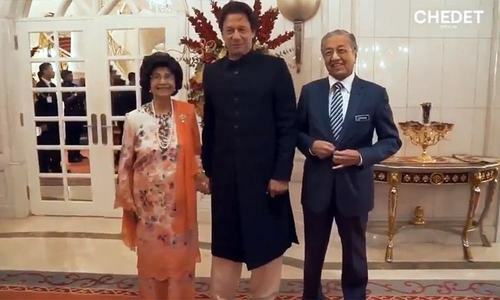 Prime Minister Imran Khan also spoke on the occasion and lauded Mahathir’s policies and steps to put the Malaysian economy on the road to progress and development. The Malaysian premier was accompanied by 25 heads of top Malaysian companies who signed memoranda of understanding (MoUs) for investments worth $800-$900 million with their Pakistani counterparts in sectors such as IT, telecom, power generation, textile, agriculture and food. Moreover, three MoUs were signed between Malaysia’s Edotco Towers and Pakistan’s telecommunication companies including Jazz, Telenor and Zong. 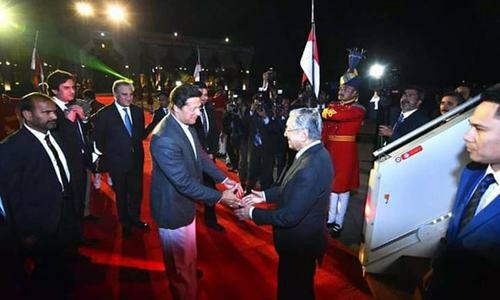 Pakistan International Airlines Chief Executive Officer Arshad Malik also met with Mahathir Mohamad and exchanged views on extending flight operations between the two countries. Adviser to Prime Minister on Investment Abdul Razak Dawood said that one of the advantages of having trade and investment ties with Malaysia is to secure access in to East Asian markets since Kuala Lumpur has made significant inroads in to Association of South East Asian Nations’ (Asean) countries. Dawood explained that Malaysian investors were long-term players and would like to see a good market share for their goods in the region. Malaysia offers an opportunity for Islamabad in to the Asean market for trade and investment through strategic partnerships. Asean is home to around 651m people, with an estimated GDP of $3 trillion and high human development index. Malaysia PM said the right thing.Peace is necessary for investment to pour in.But,it is only possible when it doesn't not interfere in others internal matters. Best of luck to Pakistan. It's true seeing the same in other jurisdictions like Dubai, Sharjah, Mauritius, Singapore where investors have pumped billions in local economies to give a huge boost hence created stability as well financial well being of millions.. Wealth is not created by Govt but by people and investors... Governments job is to offer investor friendly policies, security and political stability. Stop trying to run Airlines, steel mills and Railways and focus on policy, security and political stability. Perhaps the honorable guest would advise IK on the importance of a competent and professional team to transform a vision into reality! He is 100 percent right. However, in all third and fourth world countries of the world, people think otherwise and always look towards the government to create and generate wealth. Nobody can teach you if you don't know what to do and how to do and do it right based on your needs, your strength and weakness! @Sarfaraz,Delhi,Proud Indian, Let me spell it for you in capital matter: KASHMIR IS NOT AN INDIAN STATE. Its more than tax break! Mahatir is successful planners. His economic policies we're game changer for Malaysia. He is asset of Muslim Umma not only of Malaysia. We are thankful to him for sharing his wisdom to make Pakistan strong economy of the world. We wish him good health, progress and prosperity for the Malaysia for helping us in the hour of need. @Sarfaraz,Delhi,Proud Indian, Good suggestion to Modi. @Sarfaraz,Delhi,Proud Indian, I agree, India should stop covert involvement in spreading terrorism across the region and leave brutal occupation of Kashmir, conduct plebiscite, let the kashmiries decide. That's how we all can prosper. Who cares advise in Pakistan . Leader's are only interested in dirty politics and fill up their pockets and pave way for their children's and family members. Any facility for housing.i m retired banker. Good practical suggestions and Pakistan must think and implement it. A very sincere advice from a very decent Muslim brother. Thank you Dr. Mahathir. 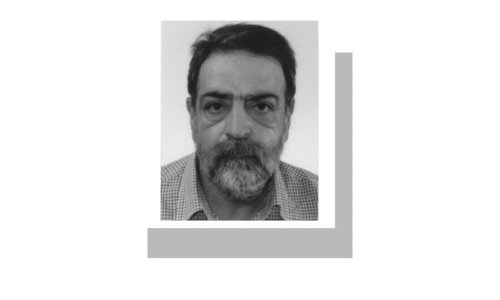 He has touched the word 'peace' as pre-requisite which every other country is saying. This is very difficult to achieve given the present mindset of people who matters most. I had opened this foreign currency account only to avoid currency exchange people, and had I known in advance, I would have transferred money from my personal account into this (this was previously not possible). The new Islamabad airport is fairly good, but one thing they completely forgot about was to create decent link roads. Now it takes an additional 1-2 hours to get to your destination, and time is money for investors. 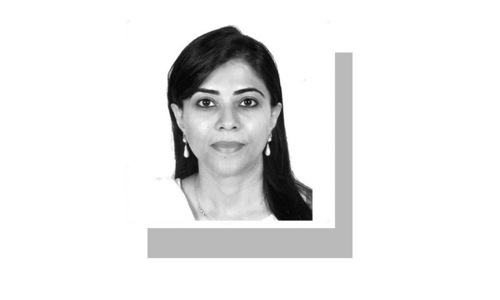 Pakistan should firstly start with Electricity Power sector. Make sure their is tons of power generated without any load shedding. This will attract foreign investors. As the Malaysian PM said, Tax Free for the foreign investors for an average 2 years. This will give time for the businesses to settle down and pick up speed. This will attract more foreign investors and create a super boom to the economy of Pakistan.